The function of this domain is unknown, but it is upregulated in response to salt stress in Populus balsamifera (balsam poplar). 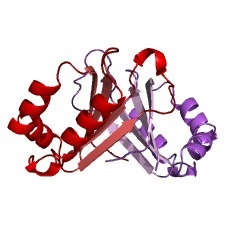 It is also found at the C-terminus of a fructose 1,6-bisphosphate aldolase from Hydrogenophilus thermoluteolus.It is found in the pA01 plasmid, which encodes genes for molybdopterin uptake and degradation of plant alkaloid nicotine. 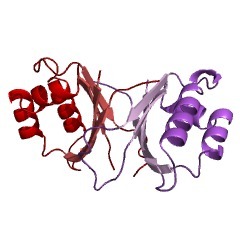 The structure of one has been solved and the domain forms an alpha-beta barrel dimer. Although there is a clear duplication within the domain it is not obviously detectable in the sequence. 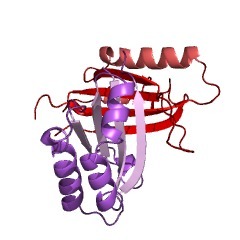 The stress-response A/B barrel domain is found in a class of stress-response proteins in plants. 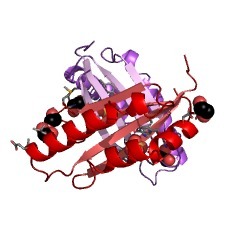 It is also found in some bacterial fructose-bisphosphate aldolase such as at the C terminus of a fructose 1,6-bisphosphate aldolase from Hydrogenophilus thermoluteolus (Q9ZA13) [(PUBMED:10705449)]. 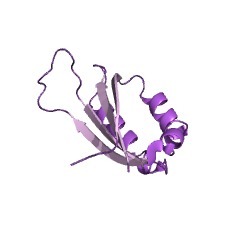 Q93NG5 is found in the pA01 plasmid, which encodes genes for molybdopterin uptake and degradation of plant alkaloid nicotine. 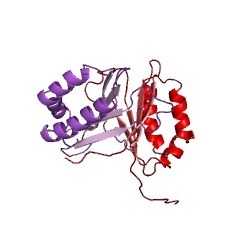 The stress-response A/B barrel domain forms a very stable dimer. 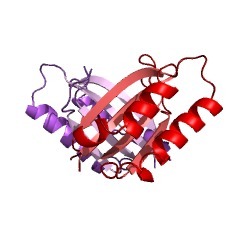 This dimer belongs to the superfamily of dimeric alpha+beta barrels in which the two beta-sheets form a beta-barrel. 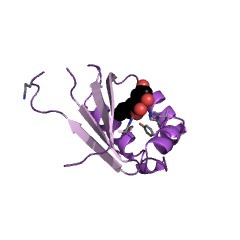 The two molecules in the dimer are related by a 2-fold axis parallel to helix H1 and beta-strands B3 and B4. 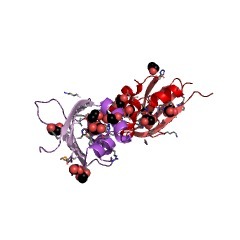 C-terminal residues extending from the beta4 strand of each monomer wrap around and connect with the beta2 strand and alpha1 helix of the opposing monomer to form the dimer interface [(PUBMED:15364906), (PUBMED:15213437), (PUBMED:15371455)].The outer surface of the beta-sheets of the two molecules forms a beta-barrel-like structure defining a central pore. The function of the stress-response A/B barrel domain is unknown [(PUBMED:15364906), (PUBMED:15213437), (PUBMED:15371455)], but it is upregulated in response to salt stress in Populus balsamifera (balsam poplar) [(PUBMED:14704136)]. 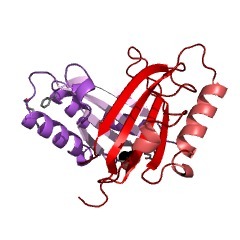 -Populus tremula stable protein 1 (SP-1)(Populus species), a thermostable stress-responsive protein. 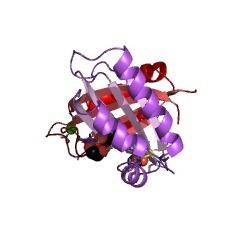 - Pseudomonas hydrogenothermophila fructose 1,6-bisphosphate aldolase (cbbA). 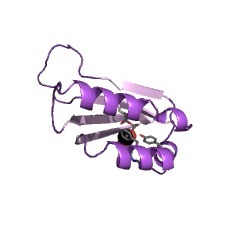 The structure of one of these proteins has been solved (Q9LUV2) and the domain forms an alpha-beta barrel dimer [(PUBMED:14872131)]. 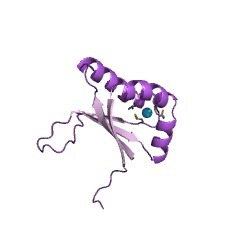 There are 10873 Dabb domains in 10518 proteins in SMART's nrdb database. Taxonomic distribution of proteins containing Dabb domain. This tree includes only several representative species. 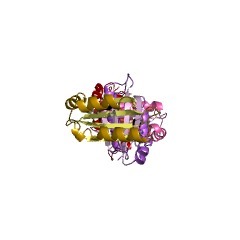 The complete taxonomic breakdown of all proteins with Dabb domain is also avaliable. 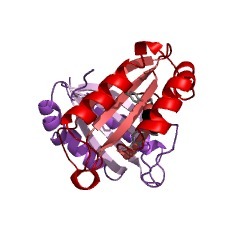 Click on the protein counts, or double click on taxonomic names to display all proteins containing Dabb domain in the selected taxonomic class. Transcript identification and profiling during salt stress and recovery ofPopulus euphratica. Populus euphratica Oli. is a salt-tolerant species that can cope with upto 450 mM NaCl under hydroponic conditions and can tolerate highaccumulations of Na+ and Cl- in roots and leaves when grown in 300 mMNaCl. Transcript responses to salt stress and recovery were monitored bymicroarray hybridization of 315 cDNAs preselected by suppressionsubtractive hybridization. Transcripts of a heat-shock protein and ahydroxyproline-rich glycoprotein accumulated 1.5 and 3 h, respectively,after adding 300 mM NaCl to the culture medium. 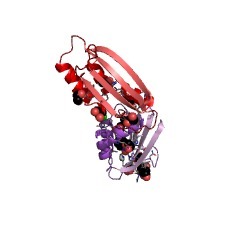 Transcripts significantlyup-regulated by salt stress included ionic and osmotic homeostasiselements such as magnesium transporter-like protein, syntaxin-likeprotein, seed imbibition protein and plasma membrane intrinsic protein;metabolism regulators like cytochrome P450, zinc finger protein, cleavagefactor and aminotransferase; and the photosynthesis-activating enzymeRubisco activase and photorespiration-related glycolate oxidase. Severalphotosynthesis-related transcripts were down-regulated in response to 72 hof salt stress but were up-regulated after long-term recovery (48 h).Sucrose synthase, ABC transporter, calmodulin, Pop3 peptide and aquaporinappeared to be actively involved in the process of plant recovery fromsalt stress. 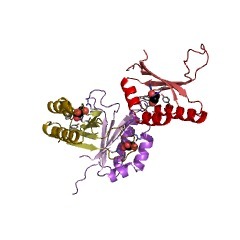 Several transcripts encoding proteins of unknown functionwere regulated by salt stress. Selected transcripts exhibiting alteredtranscript profiles in response to salt stress were also analyzed byreal-time quantitative PCR. Transcript analysis during salt stress andrecovery of this woody species revealed several genes and correspondingproteins deserving special attention in future studies of salt tolerancein woody species. 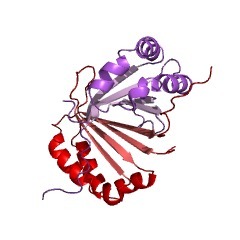 Structure of the hypothetical protein At3g17210 from Arabidopsis thaliana. 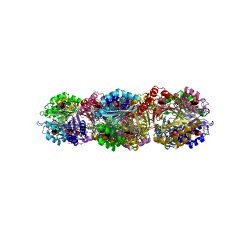 Structure of ribulose 1,5-bisphosphate carboxylase/oxygenase gene clusterfrom a thermophilic hydrogen-oxidizing bacterium, Hydrogenophilusthermoluteolus, and phylogeny of the fructose 1,6-bisphosphate aldolaseencoded by cbbA in the cluster. Four genes, cbbO, cbbY, cbbA, and the pyruvate kinase gene (pyk), werefound downstream of ribulose 1,5-bisphosphate carboxylase/oxygenase(RubisCO) genes, cbbLS, from a thermophilic hydrogen-oxidizing bacterium,Hydrogenophilus thermoluteolus (formerly Pseudomonashydrogenothermophila). cbbO was similar to norD in the denitrificationgene cluster, and cbbY was similar to cbbY from other autotrophicbacteria. 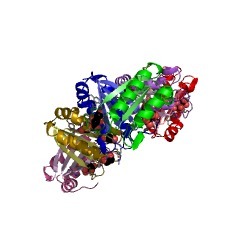 cbbA encoded fructose 1,6-bisphosphate aldolase (FBP aldolase);however, CbbA was little similar to other CbbA proteins. When CbbA wasoverexpressed in Escherichia coli, overproduction of CbbA was detected bySDS-PAGE. However, the cell extract had slightly higher activity than acell extract of E. coli without cbbA. Phylogenetic analysis showed classII FBP aldolase divided into classes IIA and IIB, and that CbbA from H.thermoluteolus was in class IIA. Activities of RubisCO and FBP aldolasewere examined under autotrophic, mixotrophic, and heterotrophicconditions. The activities of the two enzymes were regulatedindependently.